Become a Raja of India March 25th! 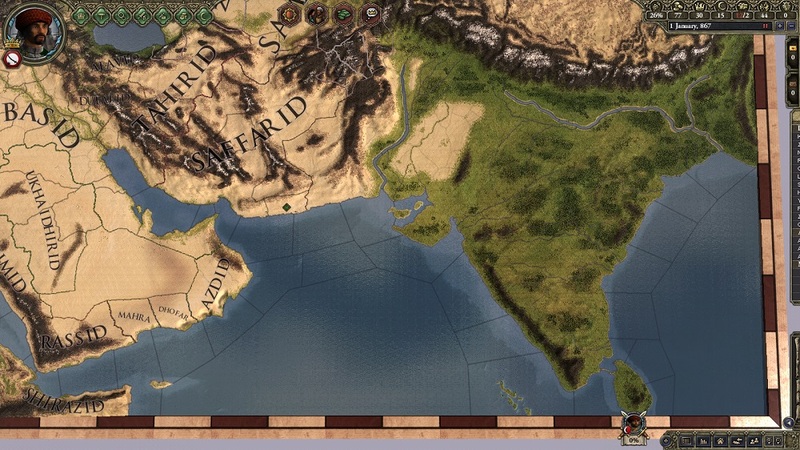 You wouldn't have dreamed that within a few days you could be a Raja of India in Paradox Development Studio's critically acclaimed Crusader Kings II, well you can come March 25th when the war elephants are let loose! In Rajas of India you can begin to conquer in the name of India, raise war elephants and fight in jungle terrain, each religion has its strengths with Buddhists wishing to advance their technology, Jain hoping to keep their realm stable, or the warlike Hindu that would rather raid their neighbours. The expansion of course brings a wealth of new cultural and religious events that revolve around the belief of reincarnation, karmic forces and appeasing the gods. It also comes with an extended map that reaches far to the east to include hundreds of new provinces in Central Asia as well as the ports of the Red Sea and Indian Ocean for your fleets. Crusader Kings II: Rajas of India is out March 25th for Windows PC and Mac.